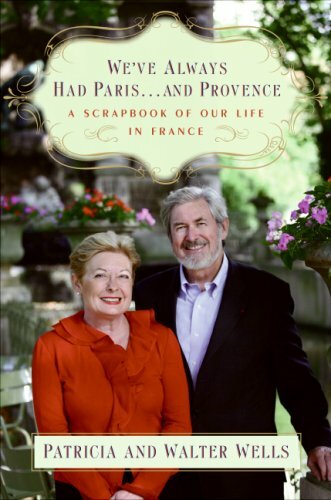 Recognized as the leading American authority on French food, Patricia Wells and her husband Walter, live the life in France that many of us have long fantasized about. After more than a quarter of a century, they are as close to being accepted as locals as any non-Frenchman can be. In this delightful memoir in two voices, full of the flavor and color of their adopted country, they share their experiences--the good, the bad, and the funny--offering a charming and evocative account of their adopted home and some of the wonderful people they have met along the way. Not just a valentine to France, the Wellses' memoir ruminates on the life that France has made possible for them and explores how their life abroad has shaped their relationship. Written in lyrical, sensuous prose, filled with anecdotes and insights, We've Always Had Paris.. and Provence beautifully conveys the nuances of the French and their culture as only practiced observers can. Filled with the tastes, sounds, vistas, and soul of France, it is literally a movable feast to be savored and shared. Included are more than 30 recipes that reflect aspects of their life in France.